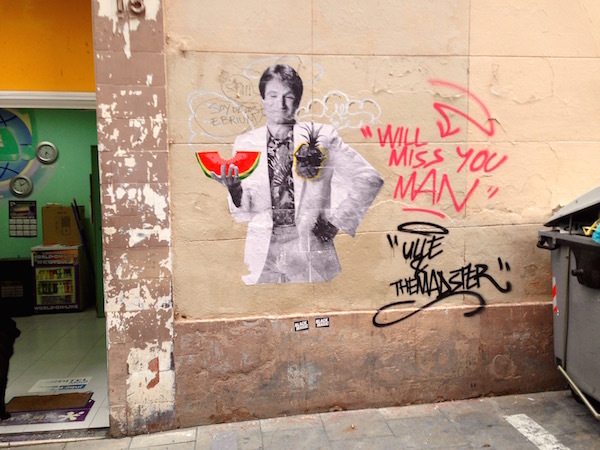 Here’s a graffiti portrait of Robin Williams in Gràcia. It went up on the wall the very next day after his death was announced — a year ago today. Wow that’s a talented graffiti artist. It’s amazing that they can do that!